BMW is truly the Ultimate Driving Machine®, its distinctive styling, phenomenal performance and superior handling placing it at the forefront of automotive technology. You can always tell a BMW apart from others. From its distinctive kidney grills and well-known blue and white of its roundel to the Hofmister kink. Not many car companies have been able to infuse race track like performance into a vehicle that can be driven on the street like the Legedary BMW Motorsport M cars. Such powerful performance vehicles demand the utmost in professional service and repair, and European Auto Tech has the expert technicians and state-of-the-art equipment needed to service and repair your BMW vehicle in Tucson. The best way to prolong the life and improve the performance of your powerful BMW engine is to ensure it is serviced regularly by qualified technicians. You can reduce the risk of catastrophic repair bills by working closely with master technicians experienced in common issues with BMW engines. European Auto Tech technicians have worked countless hours on nearly all models of BMW vehicles. The following are some of the most commons issues with BMW engines that European Auto Tech has serviced and repaired for its Tucson clients. It often looks as if the water pump is leaking, and most inexperienced shops will condemn the pump, when in fact the problem is a failed seal in a water pipe the goes through the front timing chain cover. While just a few years ago this repair entailed major engine work, our technicians have engineered a solution that cuts the repair time by 75%, replacing the pipe and seal with a higher quality unit that far outlasts the original. Plastic cooling system components tend to fail around the 100,000 mile mark; radiator necks cracking, coolant expansion tanks exploding, water pump impellers breaking, water pump bearings failing, electronic thermostats shorting out and leaking. Not one of BMW’s finer moments. We have the experience dealing with these issues so we can help to get you back on the road as quickly as possible, with properly installed parts that will prolong the life of your BMW. BMW owners are commonly surprised with white smoke out the tail pipe caused by crank case vent valves, also known as oil separators. Oil separators seem like a good idea, right up until the point they fail! Our experienced Tucson BMW repair technicians are prepared to help you handle this common issue. Rough running and the dreaded check engine light are often caused by failing ignition coils. The DME (engine control unit) will detect a misfire, calculate the cylinder and shut down the injector. Misfires can cause damage to the engine and catalytic converter, and should be repaired as soon as possible to prevent further damage and reduce your BMW repair expanse. Most models of BMW vehicles are equipped with plastic rollers that break on the window regulators. These regulators may reduce total vehicle weight, but too often fail completely, leaving you with a non-functioning window. Front control arm bushing, also called thrust bushing, is a common issue caused by the placement of the thrust bushing in the suspension. When the bushings wear out they no longer can absorb vibration, amplifying the vibrations through to the steering wheel. If not repaired this can cause damage to the suspension, accelerate tire wear, and hamper control of the vehicle especially under evasive maneuvers or heavy breaking. European Auto Tech’s master technicians can service your BMW’s brakes to ensure you will have maximum control of your vehicle and an extended life for your vehicle’s suspension and braking components. Many of our clients come into our Tucson shop with poor A/C flow and outside temperature sensors displaying -49 degrees. This is typically caused by damage to the ambient temperature sensor in the bumper, commonly resulting from driving up onto parking curbs. The A/C systems needs to know the outside temp to perform correctly, and remedying this problem is essential to keep your air conditioning blowing cold in your BMW throughout the hot Tucson summer months. Once we have diagnosed a problem with your BMW, our goal is to pass along as much information as possible to you along with our recommended solution in a way that is easy to understand. In many cases, we will discuss different options for repairs and the risks and benefits associated with each. No work is conducted on your car without your express permission to do so. 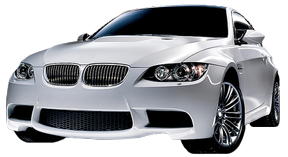 Our objective is to always provide you the highest quality repair at competitive pricing, all the while treating your BMW as if it were our own. When it comes to BMW service, we have you covered. Our knowledgeable staff and fully equipped shop will provide you with the most comfortable BMW experience you can have. We will take care of your BMW as if it was our own. Our service includes anything from routine maintenance to complete and accurate mechanical and diagnostic repairs. We offer a comprehensive buyer’s inspection of pre-owned BMW vehicles. We perform a thorough check of major systems, body and chassis, suspension, brakes and drive-train. We then compile a complete report for the buyer giving the buyer a sense of what expenses may be incurred in the near future, how well the car was maintained and the overall condition of the vehicle, allowing you to make the most informed BMW purchase decision. We can perform your required or necessary maintenance services while your BMW is still under factory warranty. We use factory approved parts and lubricants. We will stamp your maintenance book. You are not required to take your BMW back to an authorized dealer for services or maintenance services that you are required to pay for. Contact us for details. Use the form below, or contact us by phone, to schedule an appointment to service, repair or inspect your BMW vehicle at our 1st Avenue shop in Tucson, Arizona. Let our master technicians and courteous staff make you our newest in a long line of satisfied clients. Alreadyrecommended you twice. You did me a great service last week. Linda was all over my failed H2O pump from my guy in MN and saved me some $$ and grief.